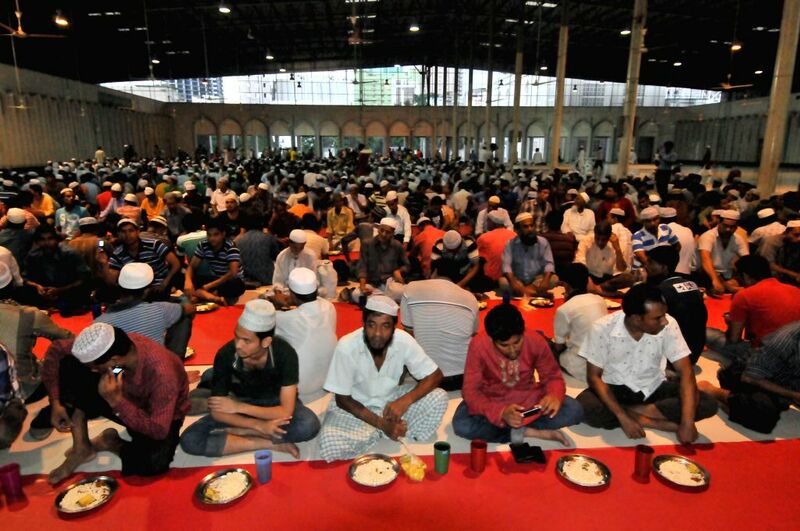 DHAKA, July 8, 2014 - Bangladeshi Muslims wait to break their fast during Islamic holy month of Ramadan at the National Mosque Baitul Mukarram in Dhaka, Bangladesh, July 6, 2014. Ramadan is the Muslim month of fasting, during which Muslims refrain from eating, drinking, smoking from sunrise to sunset. 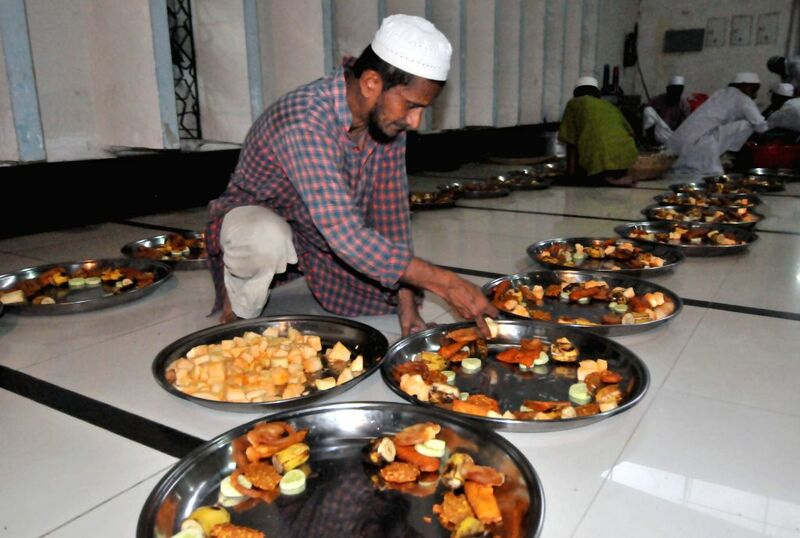 A Bangladeshi Muslim arranges food for breaking the daytime fast during Islamic holy month of Ramadan at the National Mosque Baitul Mukarram in Dhaka, Bangladesh, July 6, 2014.